With the weather warming up, I couldn't resist browsing and getting a few new summer dress for brunch with the girls, nights out with the lover, and weekend errand runs. This Leith Tie Front Dress in mustard is perfect for a nice sunny weekend lunch, I can't wait to wear it with a floppy hat and wedges. And this 'see you again' floral print minidress will be perfect for a date night. 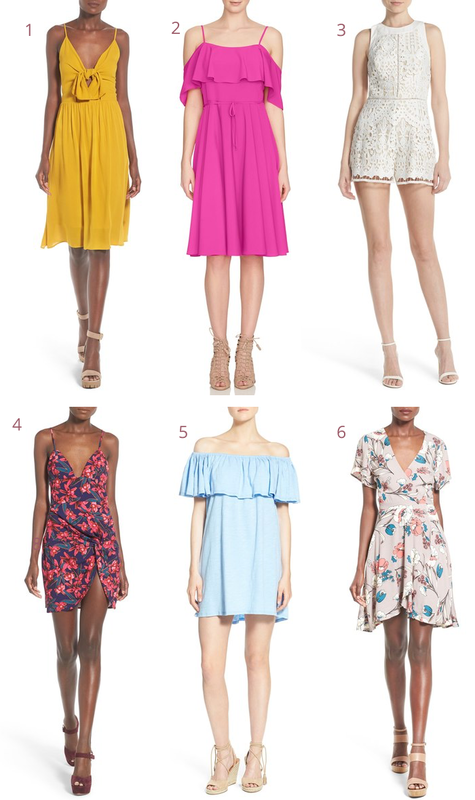 Whether if you have vacations lined up for this summer or have weddings or graduations to attend, I am loving this summer styles and want them all!